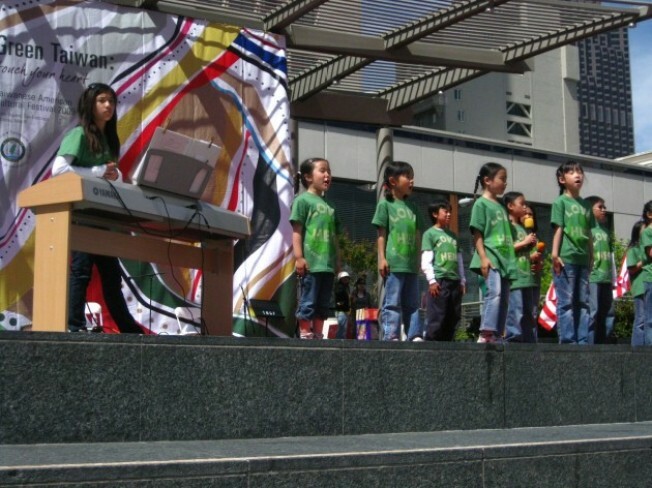 The 20th Taiwanese American Cultural Festival will be held on May 12 2012, Saturday, at Union Square in San Francisco. At the festival, attendees will have the opportunity to experience a characteristic element of Taiwan – the “night market”, learn more about Taiwan’s history and Taiwanese Americans in the Bay Area, as well as enjoy Taiwanese delicacies. On the stage, there will be performances presented by the Dance Department of the National Taiwan University of Arts and local Taiwanese American musicians, including the alternative rock band, Johnny Hi-Fi and more. The exhibitions at the festival will include demonstrations using Taiwanese glove puppets, Taiwanese arts and crafts, games with prizes, visual displays to illustrate Taiwanese technology, as well as a marketplace with orchids from Taiwan. In addition, people should not leave the festival without tasting traditional Taiwanese food and learning about the beautiful tourist attractions in Taiwan. AACO will help with food (preparing, cash box, runners, etc.) and activities (games with kids, arts & crafts, small activities, etc.). - The volunteer time is from 10AM - 2PM. - Volunteers will receive a free food voucher for use at the festival! - There is plenty of parking garages in the area but it is not free. Union Square is easily accessible by bus, MUNI trains and BART. Please include your name and e-mail address when signing up!